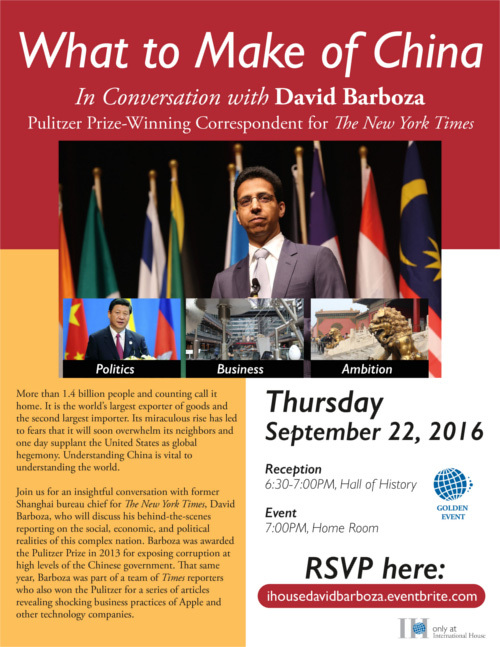 Join International House for a conversation with David Barboza, reporter for The New York Times, about his Pultizer Prize-winning work covering the current social, economic and political landscape in China. David Barboza served as a Times foreign correspondent since 2004 and as a former Times Shanghai bureau chief from 2008 to 2015. 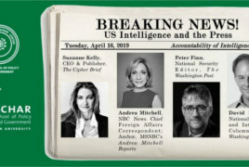 He was awarded the Pulitzer Prize for International Reporting in 2013 for his work investigating corruption in the Chinese government, in addition to The Society of American Business Editors and Writers (SABEW) and the 2007 Best in Business Journalism Contest awards. 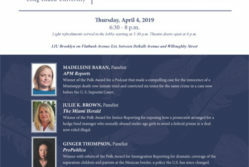 Barboza graduated from Boston University with a bachelor’s degree in history and attended Yale University Graduate School.